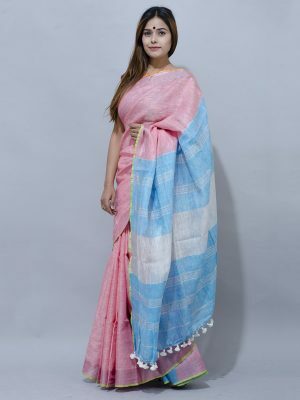 Linen saree Exhibiting the weaving heritage. Linen saree and pompom decoration makes it associated with nature and spring. Linen saree looks great for day wear functions and festivals reflecting simplicity. Linen saree integral part of a thair wardrobe. Jacquard" is a weaving method in which fabric patterns are woven in the cloth weft itself instead of being printed on it. Linen saree is always striking and. brightens up your look too. Linen saree with pompom looks stunning and build a comfort zone for yourself. Linen saree strips is emblematic of authenticity. Linene saree loved by all ages. Linen saree provides perfect transformation. Linen saree most preferred colour by all evokes peaceful feelings. 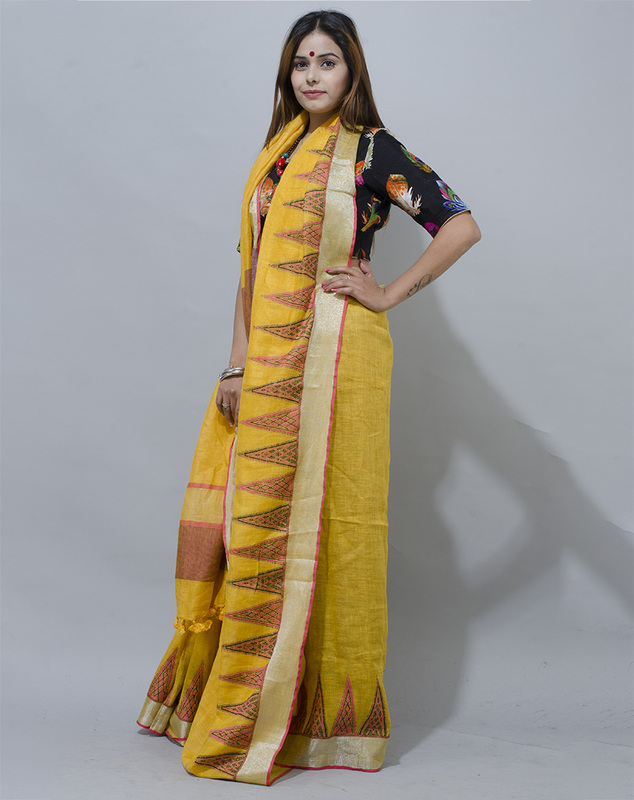 Linen saree perfect for celebration and draws attention towards the wearer easily. Linen saree gives a cute feel and love.